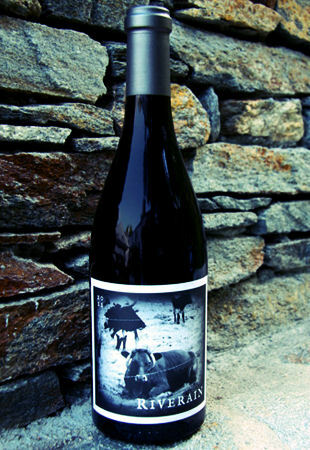 We are thrilled to introduce you to the inaugural release of our 2011 Riverain Syrah. Our fruit source is the highly acclaimed Cardiac Hill Vineyard located in the Bennett Valley – AVA. With gorgeous views and a beautifully farmed property, it's no surprise that this location has been producing incredible Syrah for over a decade. Our unique one acre block is Northeast facing and located on an extremely steep terrain. The soils and the vigor allow for a naturally balanced yield. The vineyard which is exclusively Estrella River clone (our favorite), produced just over two tons of fruit in 2011. Our vineyard location is known to be perfect for Syrah, as cool air pushes through the Petaluma Gap and up the Bennett Valley. In 2011, the growing season was unseasonably cool, but fastidious farming and diligent sorting allowed us to produce a dense wine, with a deep violet purple color. We included 28% whole cluster for aromatic complexity. The wine was aged 15 months in one year and older French Oak barrels.